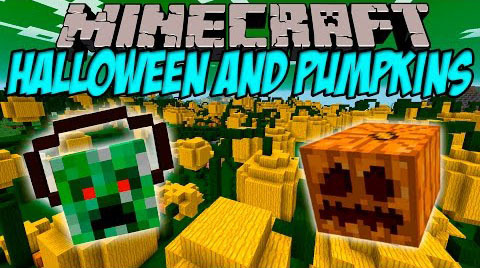 Halloween and Pumpkins mod adds a unique biome, new food, new blocks, new materials, achievements, 4 new mobs, new armor, masks to your Minecraft world. 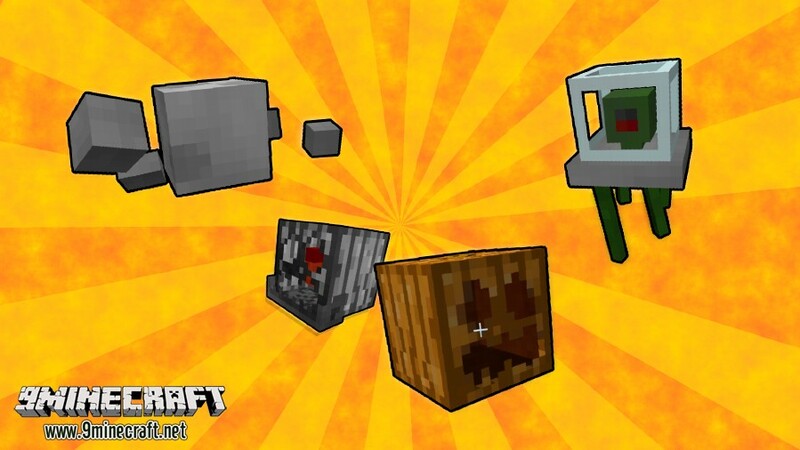 Angry pumpkin: Pumpkins filled with magma cubes, that will leave the pumpkin and come out for a fight if you damage them. Mecha pumpkin: Craft a mechanical pumpkin that will fight zombies and skeletons for you! Won’t move unless you bait them with roasted pumpkin seeds. A Space ship: A mysterious ship from space, that randomly spawn in overworld. Cursed rocks: It should be able to spawn in world, move and look. But doesn’t have any purpose yet. Roasted pumpkin seeds: Cook pumpkin seeds to make. You can lure Mecha pumpkins with it! UFO part: Dropped from Space ships. Used for a mask and crafting Mecha pumpkin. Pumpkin core: Dropped from Angry pumpkins. Used for a mask and crafting Mecha pumpkin. Pumpkin ingot: Smelted from pumpkin hearts. Used to craft armor and Mecha pumpkin. Mecha pumpkin (item): Right click to spawn a Mecha pumpkin to defend you! Pumpkin grass: Just an astetic ground block for new biome. 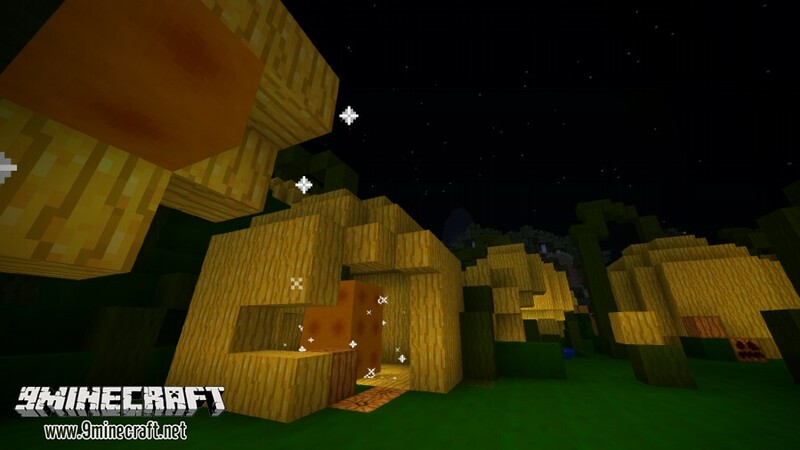 Pumpkin stem: The blocks hold up huge mutated pumpkins. Pumpkin heart: Found inside huge pumkins. Cooked into pumpkin ingots. 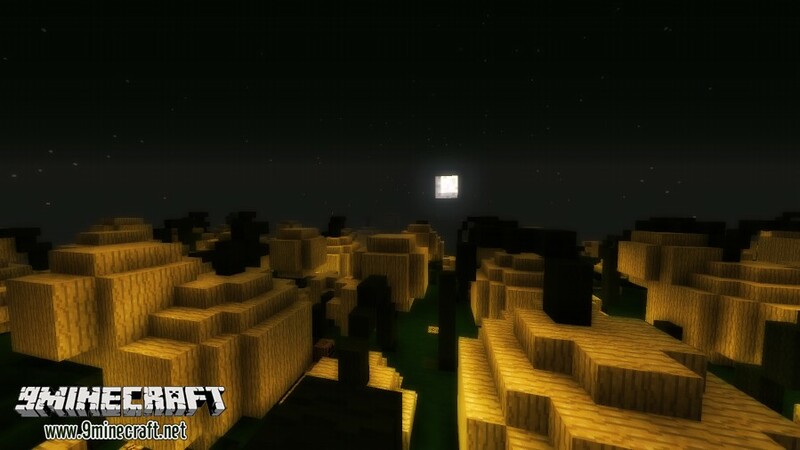 Has animated texture. Pumpkin armor: Crafted like any other armor, just out of pumpkin ingots.